Designed for the most spacious of Australian homes, the powerful Freestanding Clean Air Wood Heaters heat homes of 18-30 squares and offer superior performance, efficient use of firewood, and long burn times. 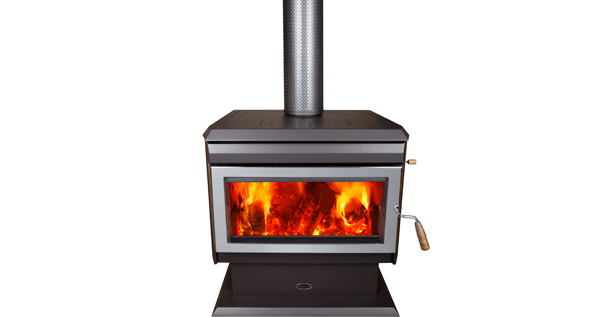 The Clean Air Freestanding Wood Heater uses the advanced firebox design for which Clean Air is famous, and has a removable stainless steel baffle complete with a 10 year warranty (medium and large only). The firebox’s patented heat exchange system, including a three-speed fan, enhances natural convection and is the signature of all Clean Air Wood Heaters. The heat tube system means you can switch the fan off when burning low and still get excellent air circulation. Any of the Clean Air Freestanding Wood Heater range is the ideal choice for heating the whole house on a cold winter’s night, efficiently keeping your home warm all day and night with a minimum of fuss.